West Ham manager Slaven Bilic says his predecessor Sam Allardyce should be "appreciated" by fans when he returns to Upton Park this weekend. 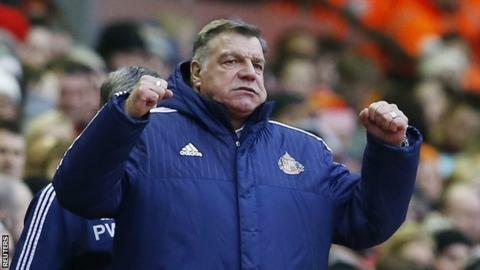 A hostile reception is expected for the current Sunderland boss, who left West Ham by mutual consent in May last year. Despite winning promotion to the Premier league in the first of his four years at the club, Allardyce was not popular because of his style of play. But Bilic believes "everyone connected with the club" should "appreciate him". Bilic added: "He took over West Ham in a moment when they were in the Championship and got them back straight away. "He stabilised them in the Premier League and did an amazing job. "Do I think he will get a warm reception? I think so, and I hope so."